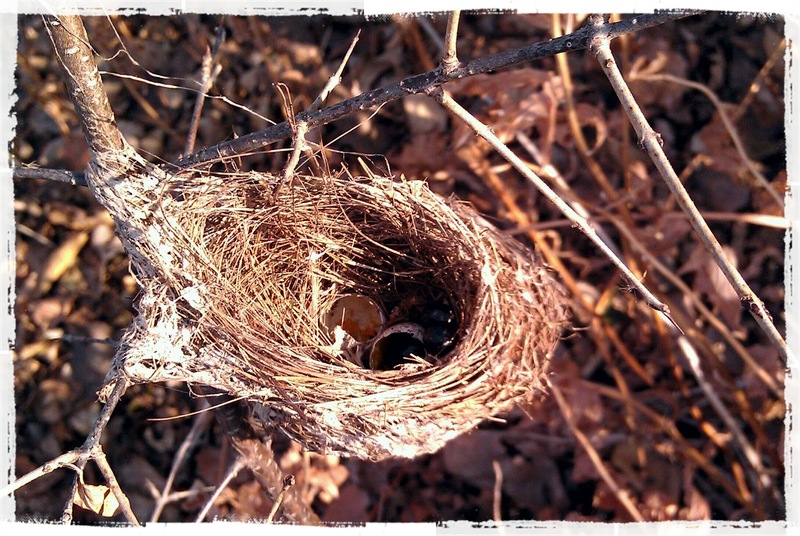 This bird's nest is not a new nest, as you can see by the hatched eggs inside, or maybe they weren't hatched at all...well, I'll just believe they hatched and grew and flew away to start a family of their own in a brand new nest. This nest is symbolic of my life right now. My youngest child moved into an apartment with some friends a few months ago, but on January 1st, he and his girlfriend moved into a house that they are renting. I believe I can now say I am officially an empty nester. I've listened to so many women say how depressed they were when their youngest moved out. They didn't know what to do with themselves anymore. I believe that if I did my Mom job correctly, they should want to move out, because they are ready and able to face the world without me being by their side. They know tbat they will always be welcomed back at the nest, should a problem ever arise. They know Dad and I will always be here for them. They know, (I hope anyway), that they are loved. So, this empty nest is new, but OK.